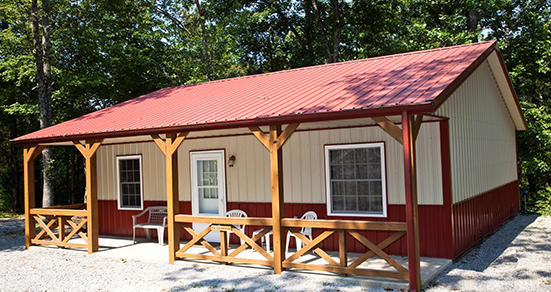 Willowbrook Cabins is part of the largest Southern Illinois cabin rental company located in Pope County just North of Golconda, IL in the middle of the best and biggest part of the Shawnee National Forest. We are the closest southern Illinois cabins to Millstone Bluff Petroglyphs, Burden Falls, Jackson Falls, Lusk Creek Canyon, Sand Cave, Bell Smith Springs and other great hiking trails. Our guest have repeatedly confirmed Willowbrook is the ideal homebase location for any Southern Illinois adventure. Our cabins near Shawnee National Forest are within walking distance to the brand new Lusk Creek Kayaking launch! 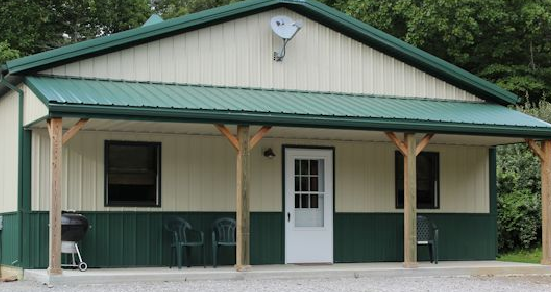 These Southern Illinois cabins are located directly on the River to River Trail and just up the road from the largest Marina in Southern Illinois (Golconda Marina!). We are only a short drive away from the nationally recognized Garden of the Gods hike but closer to the hundreds of other Shawnee Forest attractions you will be exploring! The Outdoorsman - 2 Bedrooms - Hot Tub! 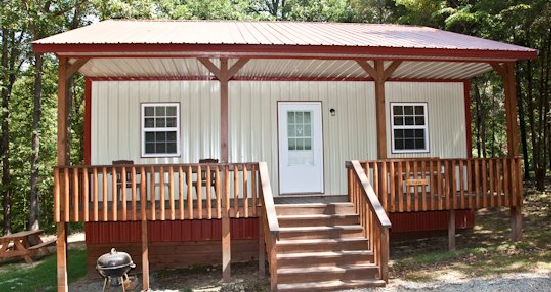 The Outdoorsman Cabin will satisfy your expectations for a romantic couples getaway. 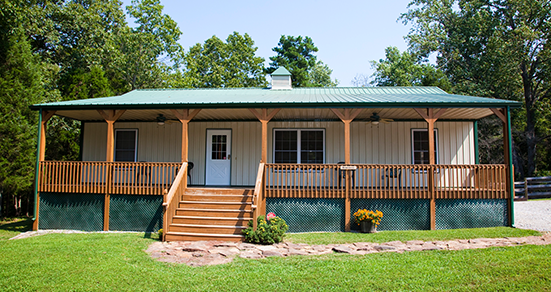 Located in the Shawnee National Forest, the Outdoorsman Cabin features 2 private bedrooms, a large bathroom, and a large front deck to enjoy the nature and wildfire of Shawnee. This cabin also has a private hot tub that is perfect for significant other on your romantic date! Book Now! The Bunkhouse Cabin is the best place to stay if you're a large group or a big family. This cabin has 3 private bedrooms, 2 large bathrooms, and huge front and back decks to get a breathtaking view the Shawnee National Forest. Whether you're a big family, hunting group, or wedding group, this cabin has more than enough space for you. Book Now! The Hiker - 2 Bedrooms - Hot Tub! The Hiker Cabin offers a weekend getaway like no other. It is located near many Southern Illinois attractions such as Garden of the Gods, Rim Rock, and the Golconda Marina. The cabin has 2 private bedrooms, 1 large bathroom, and large front and back decks to enjoy the beautiful nature. The Hiker Cabin also has a private hot tub for the perfect getaway. Book Now! The Angler Cabin - 2 Bedrooms - Fire Pit! The Angler Cabin is located in the heart the Shawnee National Forest and all of it's beauty. The cabin features 2 private bedrooms, 1 large bathroom, and a large front deck so you can enjoy the nature. It is near many Southern Illinois attractions including Heron Pond, and several Shawnee Hills Wineries so you can enjoy your weekend getaway. Book Now!